Generations of children and adolescents were entertained at the Luna Park fairground in the EUR area (there will be another post about the area). Built in 1953, it brought life to the otherwise quiet area in the evenings and at weekends. In some ways, it was to Rome what Coney Island is for New York City. 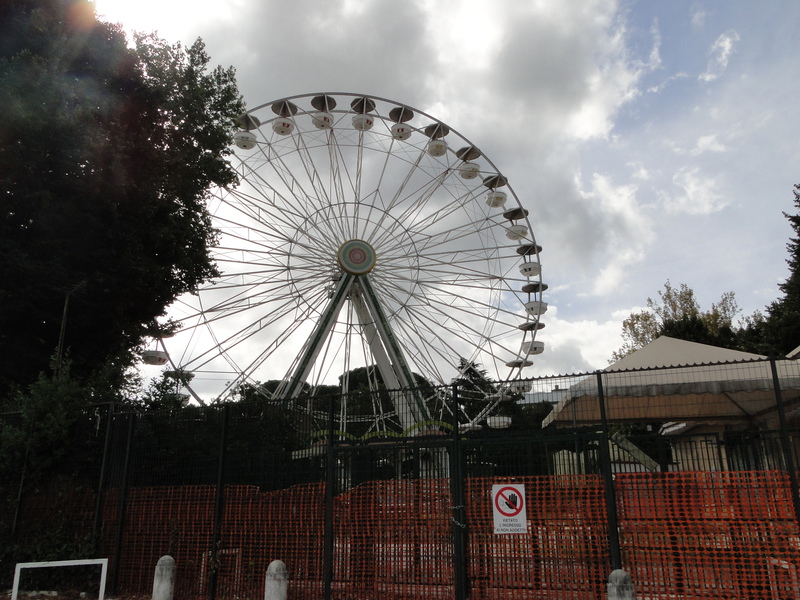 It started as a temporary fair, but was made permanent in 1960 when the Olympic games were held in Rome. About three years ago, the park unexpectedly closed, to make way for a big renovation project which would supposedly transform the old fair ground into a modern amusement park, and make it safer and better. 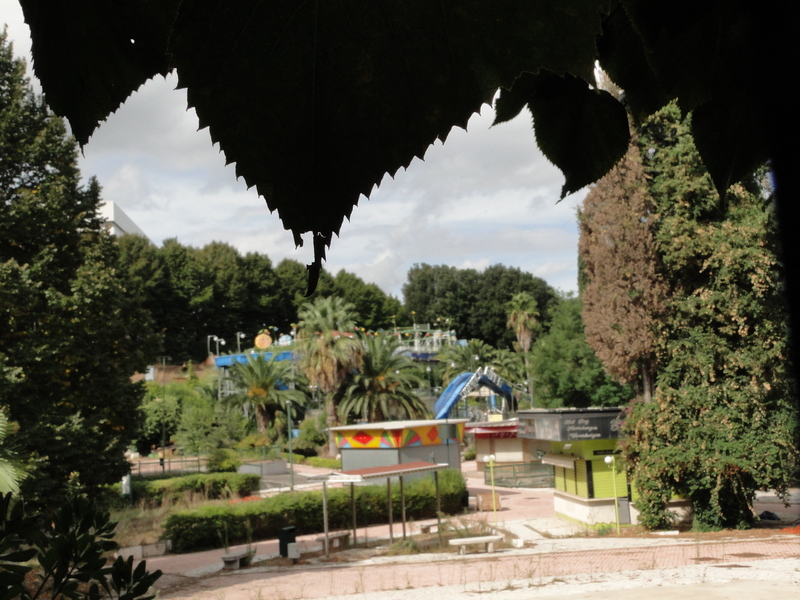 The new LunaEUR was scheduled to re-open in 2009 for the joy of all the big and small children living in Rome. Unfortunately, three years later the park is still closed, and has the eery feel of an abandoned place. Nothing has been dismantled, all the attractions are left to rust, and even worse, work has not yet started. Things tend to move slowly in Rome, but in this case, everybody is questioning whether the new project will ever come to life. The day I was there, I met a middle age man who was very angry about it all. He was cynically convinced that the city administration was not moving forward with the project because it wanted to sell off the land to property speculators. Whatever the truth is behind, it is always sad to see a place left to die, especially a children fairground. This entry was posted on September 30, 2010 by Salambo in 20th century Rome, Daily life in Rome, English and tagged 1960, children, EUR, Luna park, olympic games, Roma, Rome, theme park.